Samsung has started rolling out April Security Patch for the Galaxy A5 (2017), Galaxy A8 (2018), and Galaxy J5 Prime models globally. The update is being currently rolling out in Canada, Russia, Panama, Paraguay, and Trinidad & Tobago regions. It brings a few system improvements and bug fixes to the Samsung Experience UI. 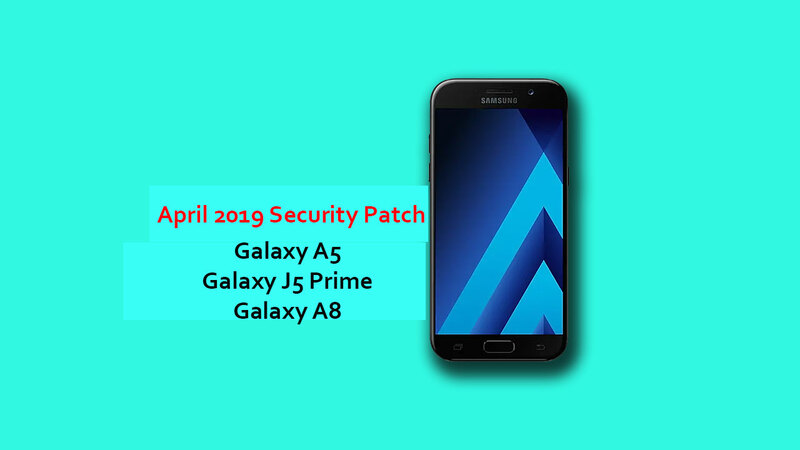 The Galaxy A5, Galaxy A8, and Galaxy J5 Prime gets April 2019 Security Patch Update and will soon receive in India as well. As we all know that Samsung’s Experience UI which is its own custom skin comes with some bloatware and bugs in terms of the stability and vulnerability issues. The Samsung Galaxy A5 (2017) and Galaxy J5 Prime was launched based on Android 8.0 Oreo out-of-the-box. While the latest Galaxy A8 (2018) has launched a few months ago back in 2018 came with Android 9.0 Pie, One UI. However, it doesn’t mean that the latest Galaxy A8 (2018) model will soon receive the Android Pie update officially. It will take a few weeks or more to get the Android 9.0 update. While the rest of the two models aren’t confirmed yet. According to the Sammobile blog, the updates will be pushed out in batches and will take some time as usual. If you’re still interested in receiving this update faster, you can install updates manually. Go to device Settings > Software Update > Download Updates Manually. Just download the firmware file from here and copy it into device internal storage. Then check for updates again.